... and 1 man on a mission! On September 21, 2015, Indigenous ultra-marathoner Brad Firth – better known as Caribou Legs – accomplished two remarkable feats. For one, he ran the equivalent of a marathon a day for 110 consecutive days. If that wasn’t enough, he also achieved his goal of raising much-needed public awareness and political will to restore federal protections for our endangered lakes and rivers. Not to mention, he did it in the middle of a record hot summer and the closest federal election in a generation. But he was determined to deliver your signed Pledge to Protect petition – and those from thousands of people like you who supported him and this important campaign. Over the course of his epic run, Caribou Legs crossed countless lakes, rivers and streams. And what kept him going was the thought that every one of them is likely among the 99% of all waterways across Canada that have been stripped of federal protection by the Harper Conservatives. OTTAWA – In 2012, the Harper government removed environmental protections from 99% of Canadian lakes and rivers. 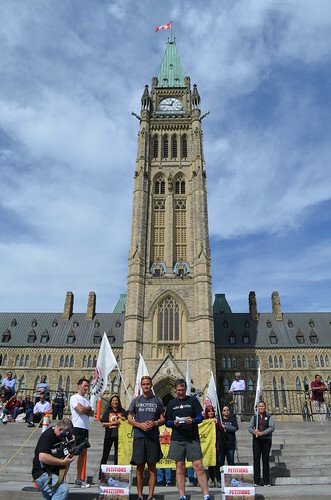 This summer, Caribou Legs, an ultramarathoner Gwich’in from the Yukon, is running from Vancouver to Ottawa to draw attention to the fact that our waterways are now vulnerable to mining, fracking, energy exploration and industrial pollution. 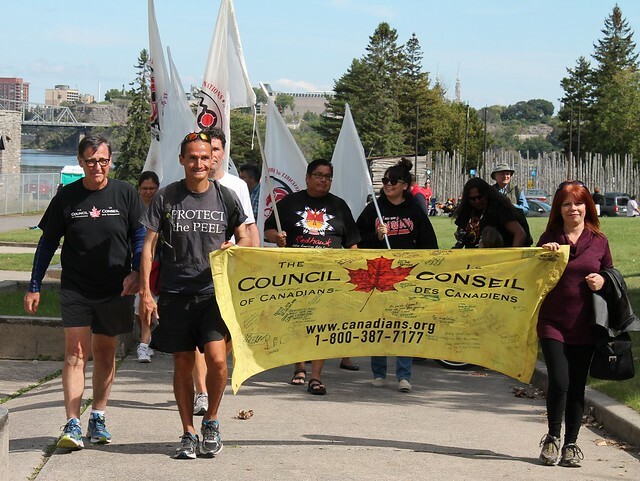 The Council of Canadians is sponsoring Indigenous ultra-marathon athlete Caribou Legs' run across the country for water protection this summer. The Council of Canadians Chilliwack chapter greeted Indigenous runner and water justice activist Caribou Legs at the Sto:lo Resource Centre on Thursday morning. 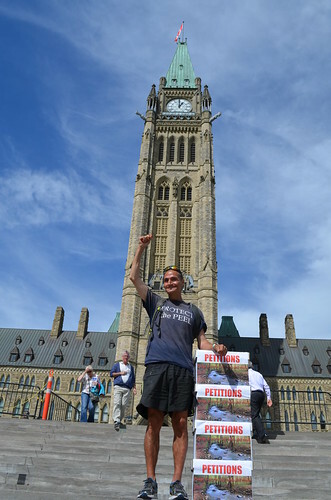 The Council of Canadians is sponsoring Caribou Legs and his run across the country to promote the protection of water.